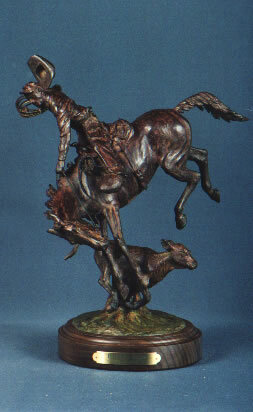 The open range of Arizona’s high desert can be a difficult place to gather cattle. 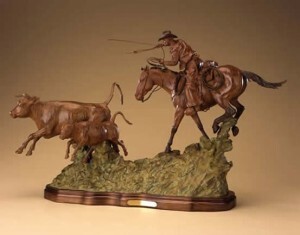 There are rocky riverbeds, deep ravines, steep mountains, cactus and rattlesnakes to jump over, climb up, run around, gallop down or keep away from. 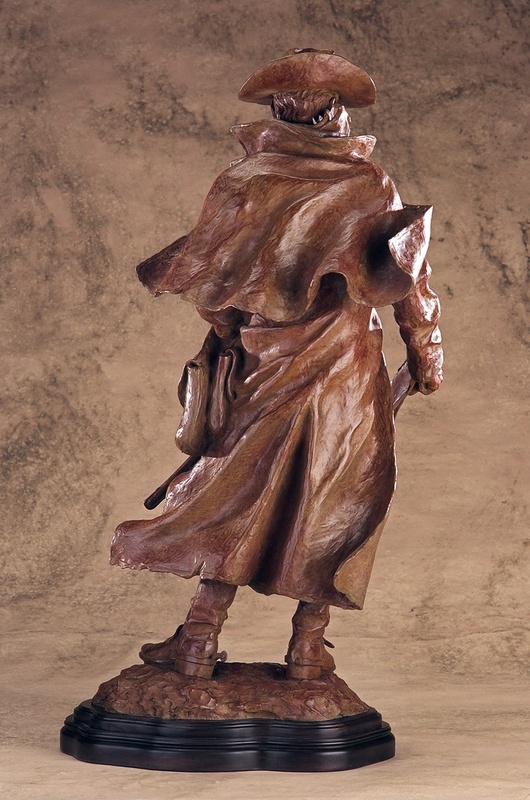 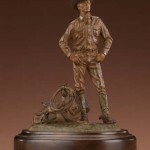 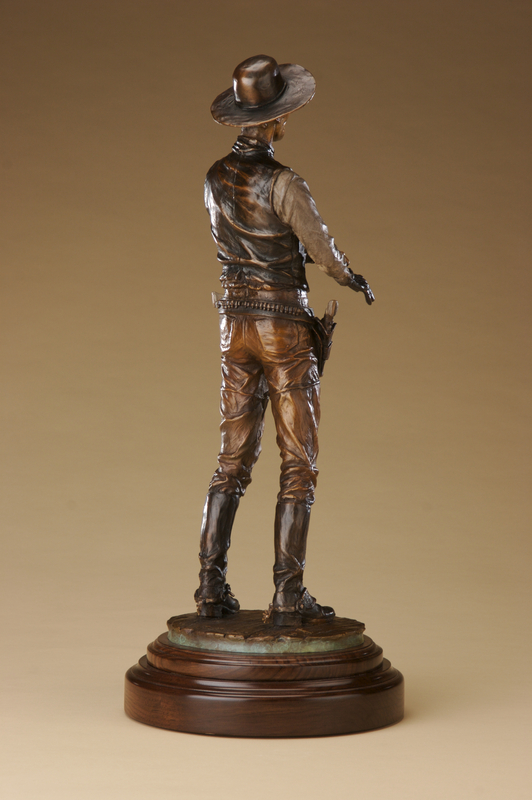 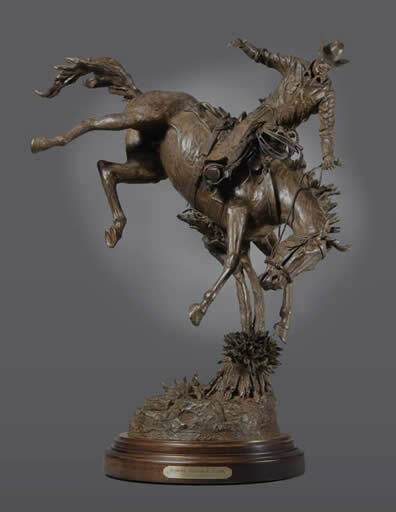 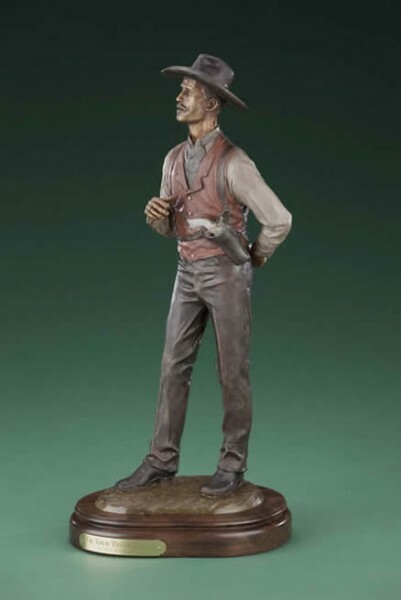 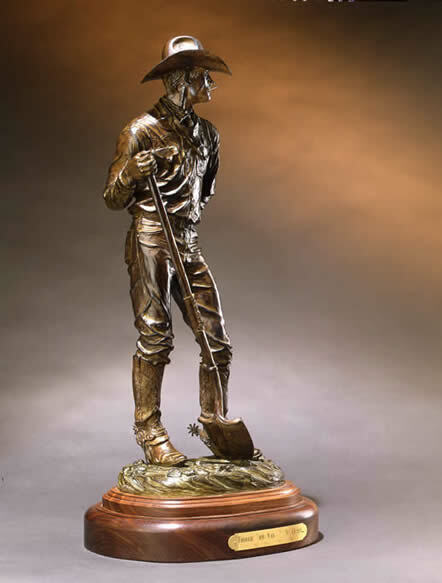 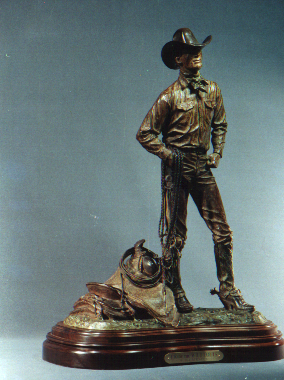 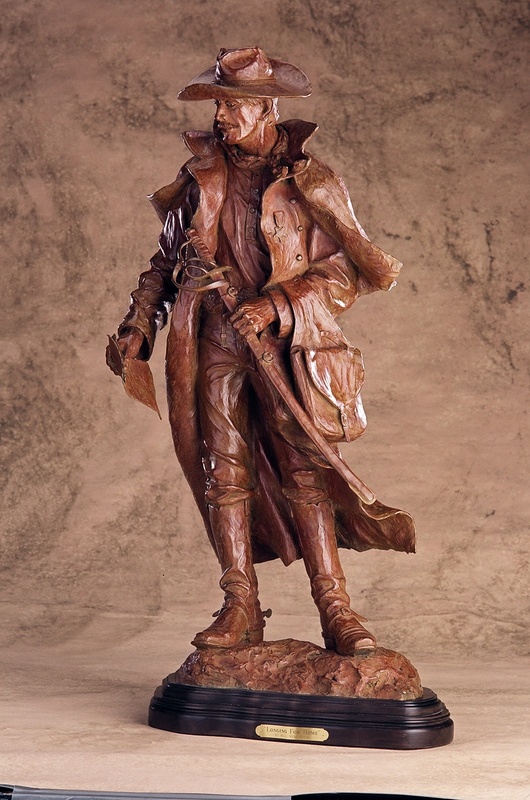 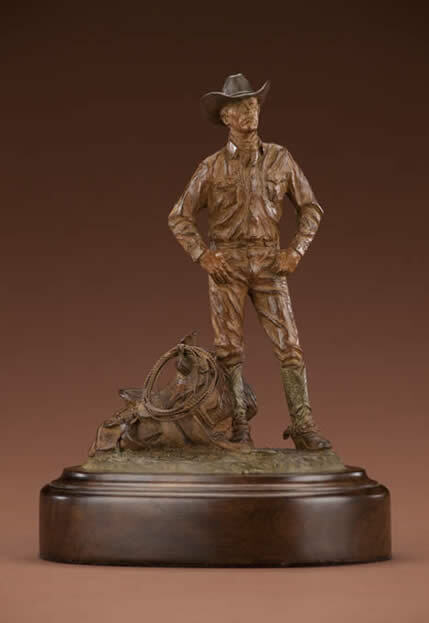 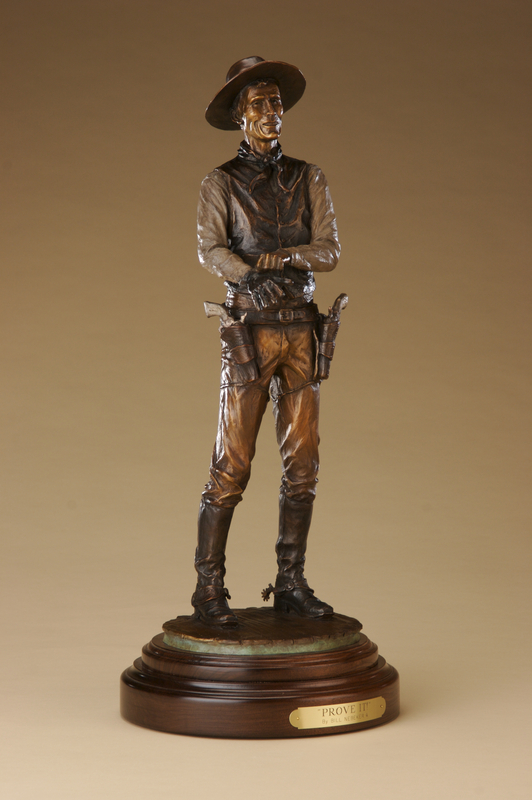 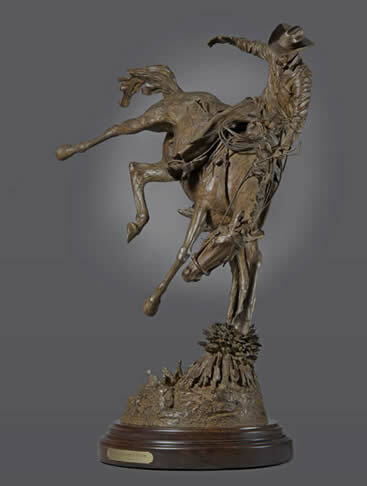 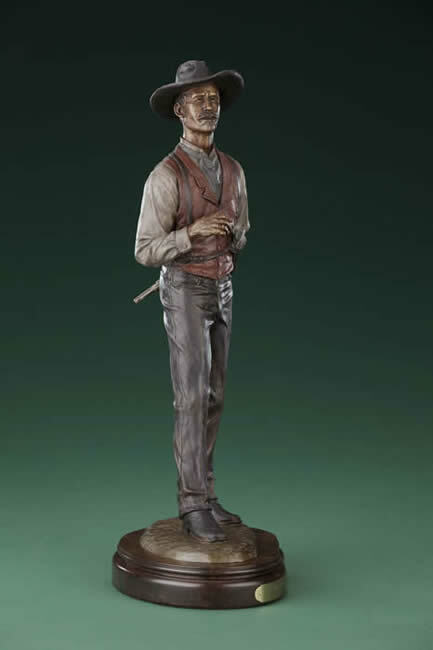 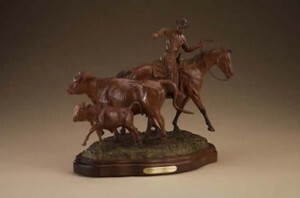 In this sculpture, Bill has given speed, action and emotion to this cowboy as he chases some cattle who obviously don’t want to see the end of his rope.